This is some evidence of disinformation about contrails. Chemtrails debunker / denier often claim that chemtrails is not scientific, claim that their knowledge is common science. But in reality they are the one that deny science. "Scientists are concerned about contrails because predicted increases in air-traffic could result in a continued increase in cloud cover." "Q: Do contrails drastically affect weather patterns? A: Originally scientists believed that the contrails behaved like cirrus clouds to actually make the climate warmer. However, there have been studies conducted that have scientists rethinking their earlier ideas about contrails. This is one of the major questions that has to be researched at NASA and one of the reasons we are putting so much emphasis on contrails. When air traffic over the US was halted after the 9-11 incident, scientists got a rare look at the skies with only a few military jets flying. They were able to analyze the effects of some of these contrails and realized that their earlier notions about contrails' effects were not totally accurate." 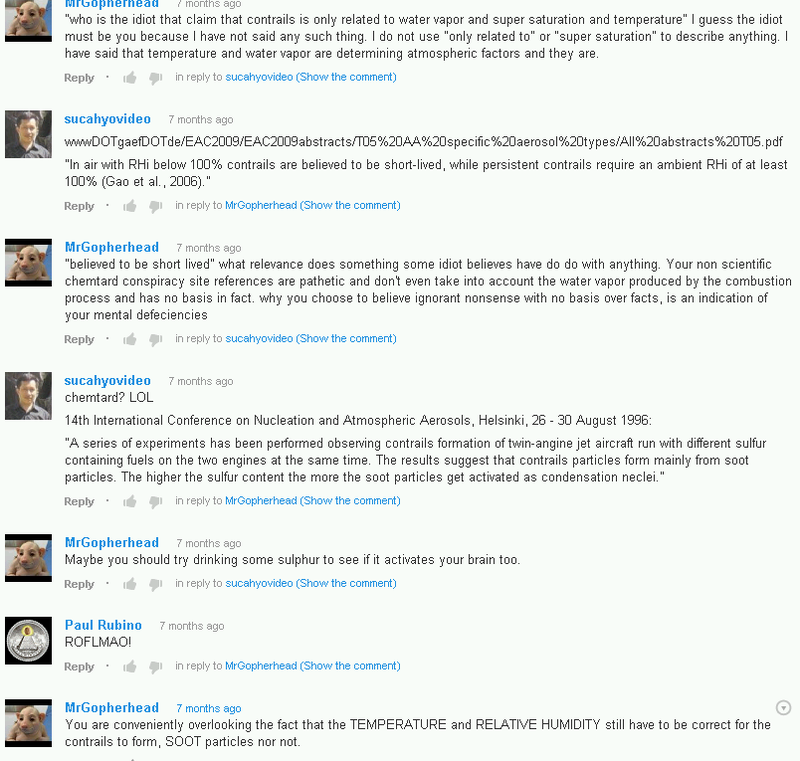 The other chemtrails debunker in the above youtube link also ridicule real scientific evidence, showing their true nature. 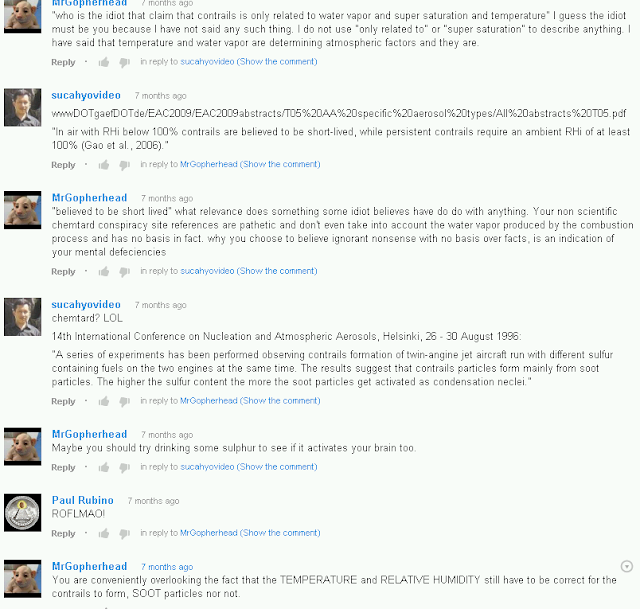 Chemtrails debunker deny science, but pretend to be supported by science. Unfortunately, many chemtrails believer have fallen into this trap, and do not investigate more.